Seoul Yummy Army's Stew is so yummy! 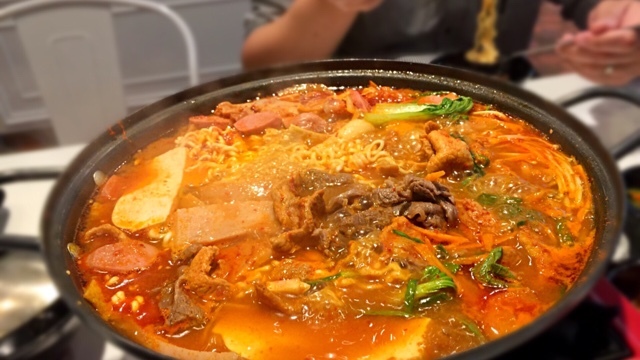 After an 11 hour work day, spoonfuls of Seoul Yummy Army's Stew brought comfort as I enjoyed the delicious piping hot broth filled with the goodness of pork, beef, chicken, tofu, luncheon meat, sausages, mushrooms, rice cakes and instant noodles. 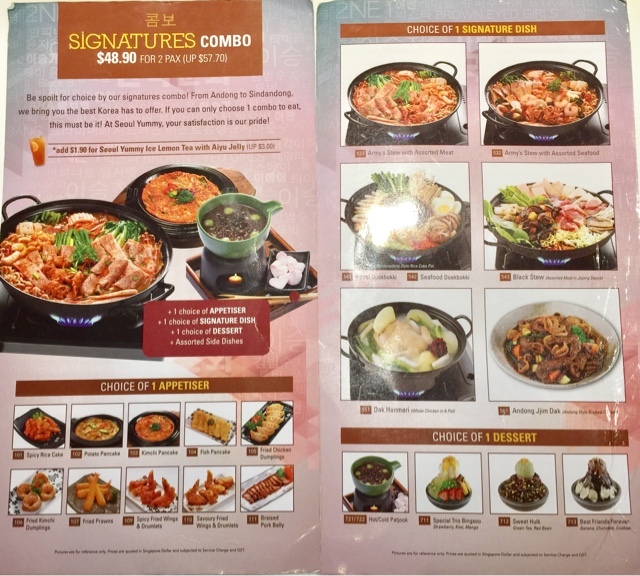 We ordered the $48.90 Signatures Combo with a choice of appetiser, signature dish, dessert and assorted side dishes. It was every dollar worth for the palatable experience. Signature Dish - Army's Stew is a Must Try! The broth was filled with the awesome flavours of spicy, sweet, sour and salty, perfectly balanced in a huge pot. 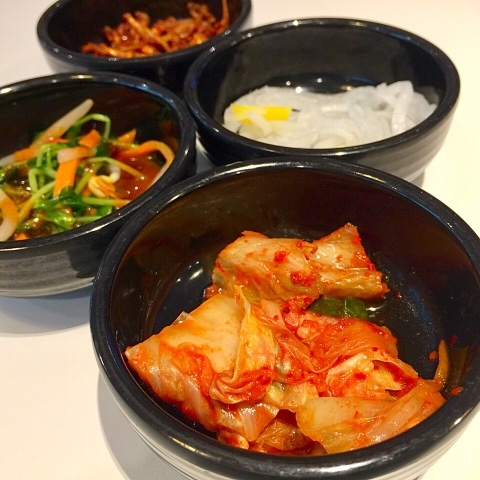 I could taste the goodness of the Korean Pepper Paste combined with a bean-like, nutty taste. 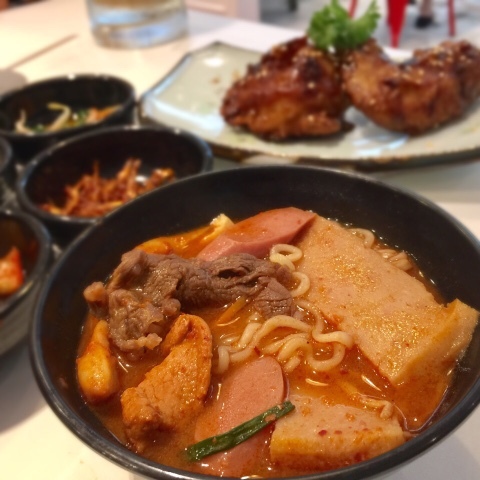 Apart from the delicious broth, the pot was filled with generous amount of fresh pork, beef and chicken. The meat tasted fresh and tender. I enjoyed the luncheon meat with instant noodles the most - saltiness of the luncheon meat was just right. Although the Signatures Combo is meant for 2 pax, it could easily feed 4 ladies. There were only 4 refillable sides dishes and I enjoyed the Kim Chi and Spinach. Not complaining as the Combo meal is so filling that I did not refill my side dishes. The Kim Chi was fresh, crunchy and sourish. 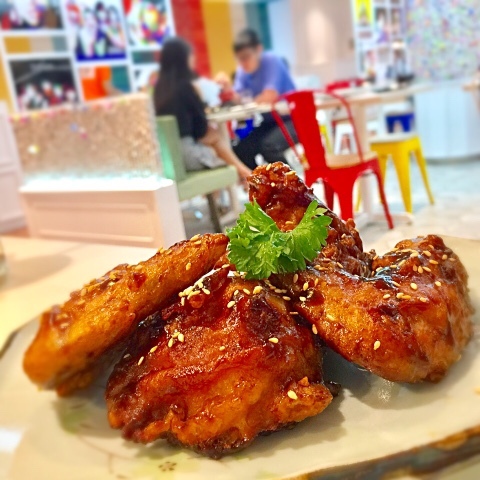 Appetiser - Savoury Fried Wings and Drumlets a Must Try! I longed to try the other appetisers as they looked good on the menu as well but this plate of Korean fried chicken was so delicious that I just had to order it every time I go Seoul Yummy. The batter was crispy, not too thick, and lightly coated with the famous Korean Sweet Soy and sprinkled with sesame seeds. The crispy batter, combined with succulent chicken meat, is definitely fingers-licking good. I enjoyed Seoul Yummy version more than some of the other specialised famous Korean Fried Chicken stores in Singapore. 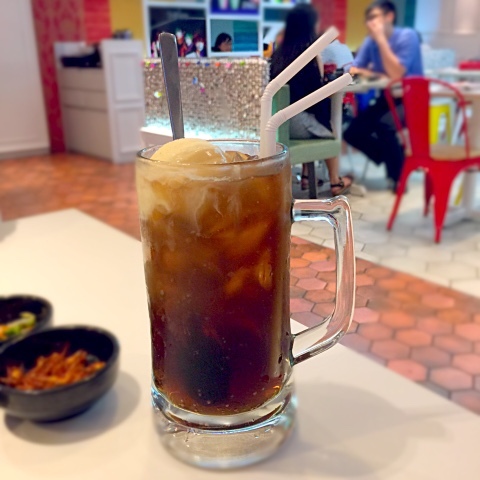 We always ordered Root Beer Float to go with our Hot Pot experience. After some mouthfuls of hot Army Stew, it was so refreshing to down it with cold root beer with the sweetness of the vanilla ice cream. I really felt that the Signatures Combo was worth the money as it serves quality dessert instead of just a scoop of ice cream or some fruits. 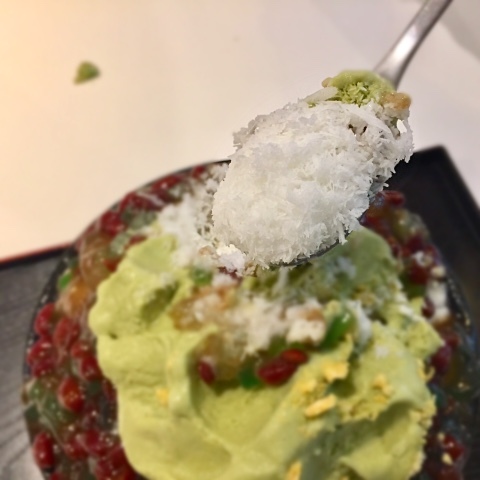 Bingsu is Korean ice shavings, served with a variety of ingredients. The Green Tea ice cream was delicious and it was not too milky and it has a distinct taste of Green Tea, yet not bitter. 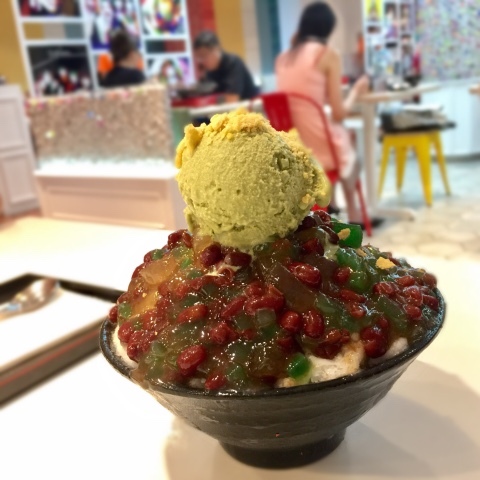 It was well complimented with the sweetness of the red beans and jelly that tastes like Aloe Vera. 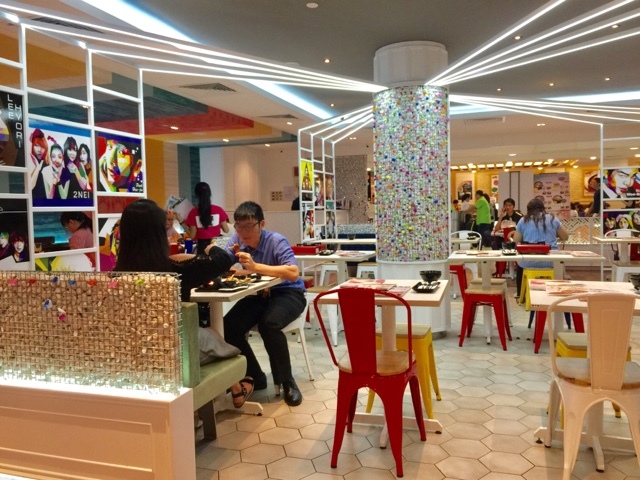 I enjoyed the decor and my favourite is the small colourful locks on the grills. It reminds me of the lovey dovey scenes in many Korean Dramas whereby the couple left love padlocks on Seoul Tower. 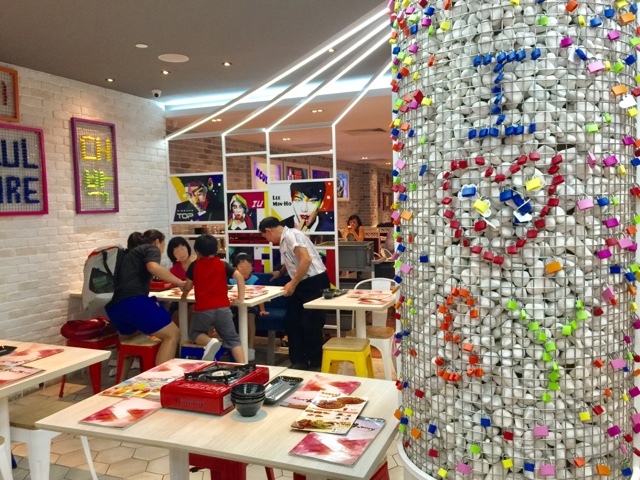 Seoul Yummy has two sections - one being cheerful and brightly- coloured and the other section with cosy booth seats available. Although I love the love padlocks, I always request to be seated in the cosier section. 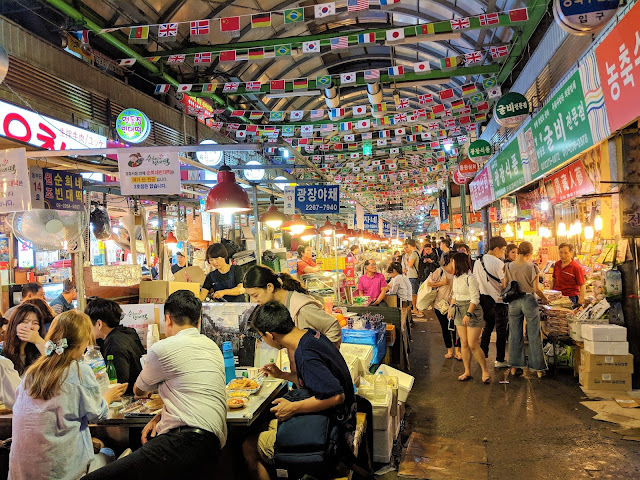 Seoul Yummy lives up to its name of being So Yummy. This is a place where I have been back and would be back. Although I had eaten this yesterday, I am already missing it. 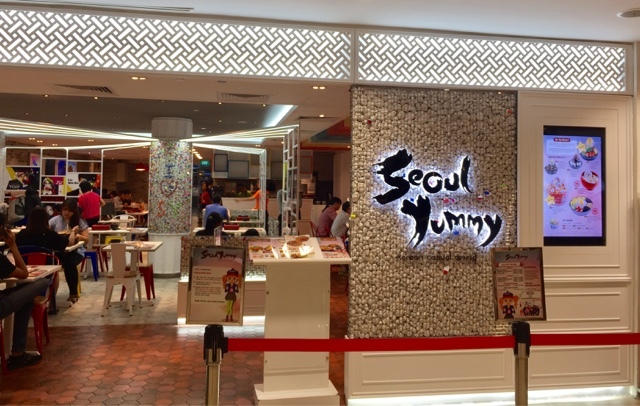 Seoul Yummy is available at Bugis Plus, Ion, Jem, Marina Square, Square 2, Central as well.